Someone asked us recently: where does someone start to make sense of it all – when mounting student loans are crushing them and they don’t know what to do. 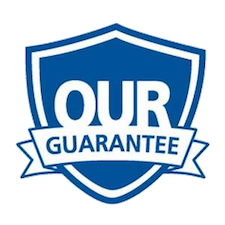 That’s exactly where our clients stand, there is so much information out there, some accurate, some not so much, and it’s hard to tell what even applies to your specific loans. Then we have student loan servicers who vary in their training of their customer service reps – you’ll get 3-4 different answers when you call for example. And most importantly, loan servicers don’t work for the student borrowers – the borrower is not the customer (they represent the creditor and are nothing more than debt collectors) – so they aren’t providing the best advice to borrowers of how to reduce this massive debt. I want to thank Polly Bauer with Swipe! the Podcast (we just taped two podcasts about student loan debt last week which will air shortly) and Shawn Yesner of Crushing Debt Podcast for helping to bring awareness not just to the fact that we have a problem in this country with overwhelming student loan debt, but that there are ways RIGHT NOW to try to deal with it – we regularly give seminars to other lawyers about the things that can be done to reduce student loan debt – that don’t necessarily involve a bankruptcy filing. We are working hard to change the mantra that nothing can be done about student loans. That is definitely not true, but we hear it practically every day. For instance, at every seminar I’ve given to laypeople, I ask, have you ever heard of a student loan attorney? No one ever raises their hands. But it’s a thing now. We’ve been very successful in teaching our local attorneys to stop saying “I didn’t know there was anything you could do about student loans”. We write a column called the Student Loan Sidebar in our local bankruptcy newsletter to help get the word out that there are solutions out there. And it’s making a difference. We’ve gotten the laws changed in bankruptcy court to allow for income based plans and forgiveness, and we’re now providing our bankruptcy courts with new approaches to discharge private student loan debt. But much of what we can do doesn’t even involve bankruptcy. For a quick idea of the kinds of things that can be done, please download our free e-book “How to Take Your Life Back from Your Student Loans“. Finally, if we see that you’ve already done everything you can, and no other options exist, and it takes less than 15 minutes, we’ll refund the charge same day. You’ll have peace of mind that you’ve done all you can, and there would be no charge. Student loans are a big debt, and the work we do often means a savings of tens of thousands of dollars overall and hundreds less per month. 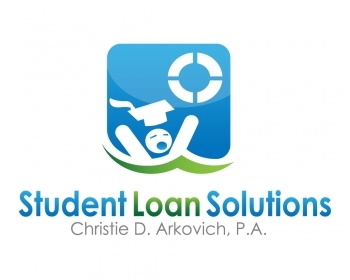 Please see our client reviews for some of the great things we’ve been able to do to reduce student loan debt for real clients and I hope we see you soon!